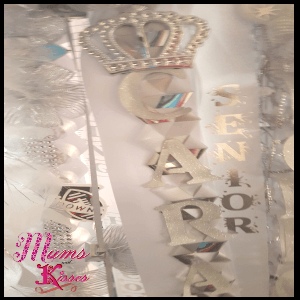 Welcome to Mums and Kisses – Changing the way you Order Homecoming Mums and Garters Online. Mums and Kisses is the home of the popular Bling-Bling Homecoming Mum™. There’s a few ways to Buy Homecoming Mums, most choose our original Build Your Own Mum where you choose every piece of your Mums for Homecoming and we Make a Homecoming Mum for you, or choose from one of our designer Homecoming Mums! We offer a Homecoming Mum for Sale for every budget. And we ship free! * You can’t beat that! Homecoming Mums for Charity, Your Mum Purchase Helps Us Support Local and Nation Charities! 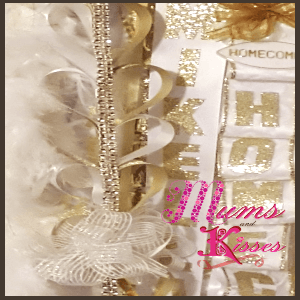 Custom Homecoming Mums – The Best Texas Homecoming Mums and Garters in the nation! We make 100% Custom Homecoming Mums, all one of a kind, all double faced satin ribbons, and all from scratch! We understand that buying mums can be intimidating, especially if it’s your first time. You don’t have to worry about figuring out How to Make Homecoming Mums, we do it for you! If you’re new to the world of mums, no worries, we’ve got you covered! We also have some of the very best Senior Homecoming Mums in town! We’ve made mums for movie stars and the Dallas Cowboys too! We’d love to be apart of your keepsake as well. Our Custom Supplies, Make Our Mums One Of A Kind! Our Most Popular Option is the Build Your Own Mum! You Design it, We Do The Work! Deal? Starts at $29.95 you add as much as you like till the price is right! Or choose a designer mum that you can customize. We have the newest Homecoming Mums Ideas for 2019 too. Our products are often imitated, but our quality is unmatched! We create down to the last very last detail. And in most cases we can make it for you cheaper than you can buy the supplies! We have mums to fit most budgets, and the reviews to prove it! Need a Homecoming Mum in a Rush? We use 95% All Double Faced Satin, Not Acetate! We do NOT use premade mums like the craft stores and others. Nope! Consequently, No two homecoming mums are the same. You’ll not see your twin walking around school! Original designs! Can’t find the theme you’re looking for? Ask us! We’ll make it! Because We’re Parents Too, Less Cost, Less Hassle and Easy Ordering. No Two Week Deadlines to Worry About. We can make your mum for less than you can buy all the supplies in most cases! While other’s stand in line, you’re done! No Craft Shop Visits – Phew! Because Quality Really Does Matter. If you need help we’re here! Call us, live chat us, email us or see our FAQ page! Heard enough or do you want to hear more? See our full custom review page. What’s New for Homecoming 2019? Oh we’ve got something for ya! We’ll be releasing our 2019 collection in late July 2019! Stay tuned! Proud members of the U.S. Small Business Administration. We use Square Up Protect, because your payment protection is important to us. If you don’t see what you like, then build your own and make sure it’s lit! (Yeah we’ve got teenagers too, can you tell?) Meanwhile, we’re here to help. Call us if you get stuck or if you run out of time to fill out the order choices or use our live help! Homecoming Mums and Garters is all we do so we can concentrate on you! Live Chat is available during normal business hours, See the bottom right of this page. We now take orders in person at in store! Come by and see the mums in person! What is the Mums and Kisses difference? Satin Baby! 95% satin ribbon versus acetate & plastic streamers that you get most every where else. If you’ve bought a homecoming mum before you’ve noticed that the ribbons, although water proof feel like paper. They’re stiff and not bendable. Not here! We offer soft DOUBLE FACED Satin mums in ALL of our homecoming mums. 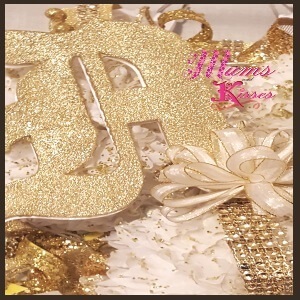 Mums and Kisses is the leader in keepsake mums! Our customers come back time and time again to order both homecoming mums and later on their baby mums. Seniors graduate and grow up, they come back for their own baby shower mums. How sweet is that! “Mums and Kisses made me the envy of my junior class! They all wanted my homecoming mum! 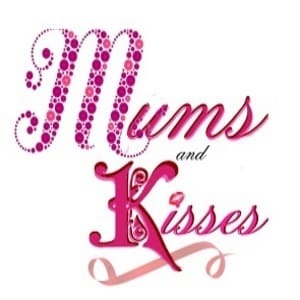 Thank you Mums and Kisses!” – Jessica Morana Southlake High School. We brag a 98% retention rate of all returning students. Once you’ve had satin it’s really hard to go back to acetate mums. Parents love it because they can order their son’s girlfriend a quality mum. We make your family look like all stars! Every year we come out with at LEAST 5 new mum designs. So that this year you can wear the latest and next year you won’t come back to see the same ole thing. We like to keep it fresh and new. We invent our own creations. The owner of Mums and Kisses is also our head mum designer. Shannon makes sure each design is not only durable, and long lasting, but will be “the lit” thing you’ll love. We keep saying that we have kids too. We do! And they make sure we only produce the coolest most upto date designs. If it’s lame, trust us, we hear about it from our own teenagers before you ever see it! Then it’s back to the drawing board till it meets the “teen test”. Mums and Kisses keeps adding to each mum each year. If you were one of our first customers back in the day you’ll notice that even our top sellers, or the mums we released in the past keep growing in options and choices. We just keep piling on what you can order. And the best part, we don’t just tell you in text, we SHOW YOU! All of our order areas on each page has the designs right there. No order forms to download, no deposits to worry about, and no pages to jump to in order to see what the heck they’re talking about. We show you right there. Don’t know what a military braid is, we show you. First time mum shopper, we tell you what’s popular and what’s recommended to help you along. We know that ordering online is a newer waive for the 30 and up crowd who are used to seeing, touching and feeling the object before they buy. That’s why we made sure that you can actually see what you’re getting in each choice and each option. Many mum makers will hold homecoming fundraisers or work with booster clubs to raise money for their groups. At Mums and Kisses, we’re all for that and we take it a step farther. Each school fundraiser we do, we also match! Whether it’s in money, “sell this many and we’ll match it” or in community support. We like to go a step farther! If you do choose Mums and Kisses for a fundraiser for your school or group know that you’ll be getting a lot more than just money. We’ll surprise you with a match, rally the community behind you or we’ll get your favorite charity involved. That’s just how we are. We feel like any company can give you a percentage of the earnings of a product, but companies that actually have families and care will go that extra mile. That’s what we try to do each and every time for each and every fundraiser. Some of the charities we support. The Alzheimer’s Association – in memory and honor. The Aaron Singleton Scholarship Fund – in memory of #33 Aaron Singleton, Joshua High School. Among many many others. When you buy from Mums and Kisses, any time of the year, know that you are supporting the local and national charities both in Texas and across the U.S. Whether you become a Mums and Kisses believer or not, We wish you a very Happy Homecoming! Thank you for taking the time to read and shop with us.